Epic en plein air painting! 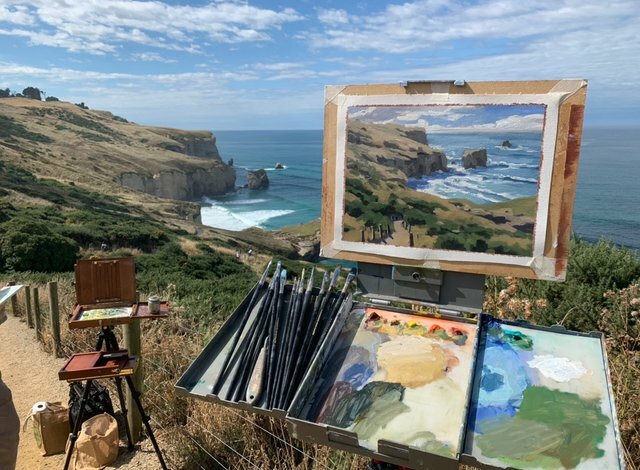 I spent a couple of days painting outdoors with my buddies Andrew Tischler and Freeman White in four different locations within the Otago region of New Zealand. The first location we went to was Tunnel Beach in Dunedin. The coastline here is absolutely stunning. We spent the morning painting here before we went to another location in the afternoon. 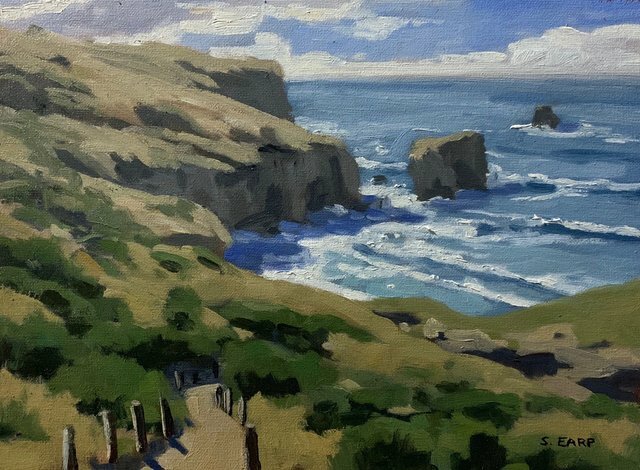 Tunnel Beach, Dunedin, 23cm x 30cm, oil on canvas, painted outdoors en plein air. Awesome work. Glad I saw it.